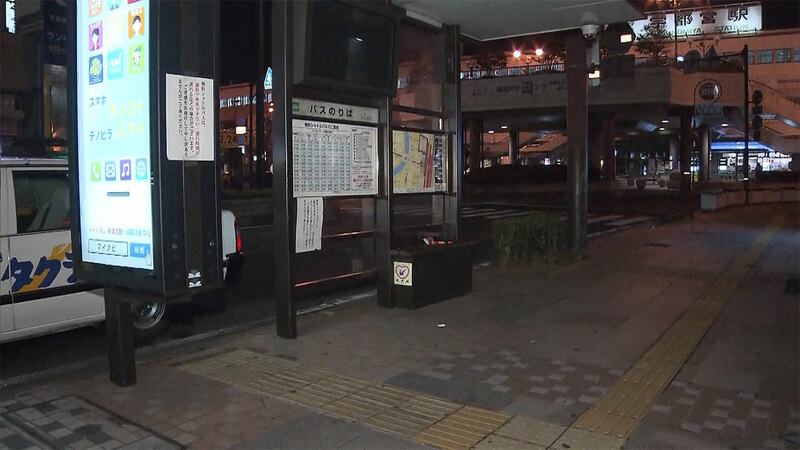 TOCHIGI (TR) – Tochigi Prefectural Police have arrested a 24-year-old man for allegedly assaulting a high school girl with a baton at a bus stop in Utsunomiya City on Monday, reports Fuji News Network (Feb. 12). 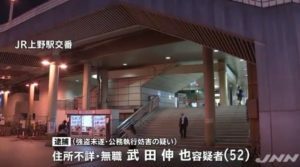 At around 6:50 p.m., Yuta Taguchi, a company employee, allegedly beat the girl in the forehead with the retractable baton after they both exited a bus at the stop, located in front of JR Utsunomiya Station. 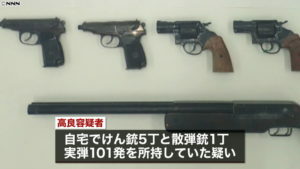 The girl suffered a 1-centimeter-long gash to her forehead, according to police. 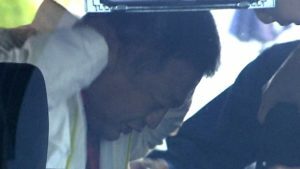 Just before the incident, a woman on the bus felt sick and vomited onto the suspect’s coat. The girl later gave the woman water. After seeing the act, the suspect attacked the girl. 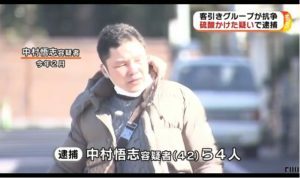 “I struck the girl who was kindly providing water [to the woman] in the head,” the suspect told police in admitting to the allegations.